The ANK Audiokits DAC 4.1 has been our most popular DAC since 2011. For the ultimate in digital reproduction the DAC 4.1 offers velvet smooth operation with no digital artifacts or treble edge. Following the Audio Note tradition of Non Oversampling Resistor Ladder Architecture (R-2R) pure digital to analog conversion method, it hardwires digital information directly to output voltage. And with triple C-Core transformers digital reproduction never sounded so good! • Triple C-Core Output Transformers. • Pre-assembled Digital DAC board with Toroidal Input Transformers and Elna Cerafine capacitors. Electrolytics and Panasonic FC Caps on filament position. both RCA and XLR Balanced Outputs. • Optional USB input board. The latest version of the DAC 4.1 boasts numerous features and supports up to 24/96khz sampling and data widths. 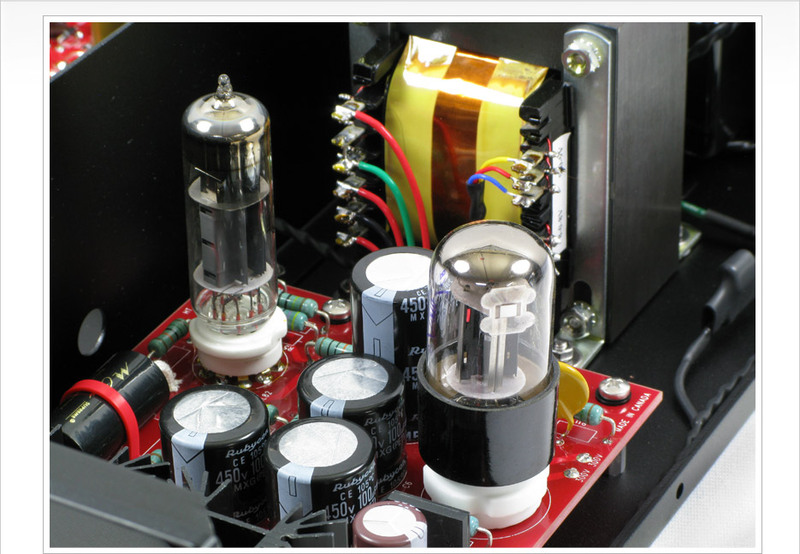 The DAC also has the M2 tube rectified and regulated power supply for ultimate smoothness. To complete the pure digital to analog design of the DAC 4.1 the digital board has no analog filtering (analog filtering has been totally removed). If you are looking for digital sound reproduction with no digital artifacts and smooth as velvet output with no fatigue then the DAC 4.1 is the kit for you! The huge Triple C-Core output transformers are mounted at the front of the DAC 4.1 chassis and are some of the latest in C-Core techonology. These transformers are manufactured to exacting specifications allowing us to take the DAC 4.1 to an amazing level of sonics. Increased definition, authority and high end information allow piano and vocals to strike right in the heart! 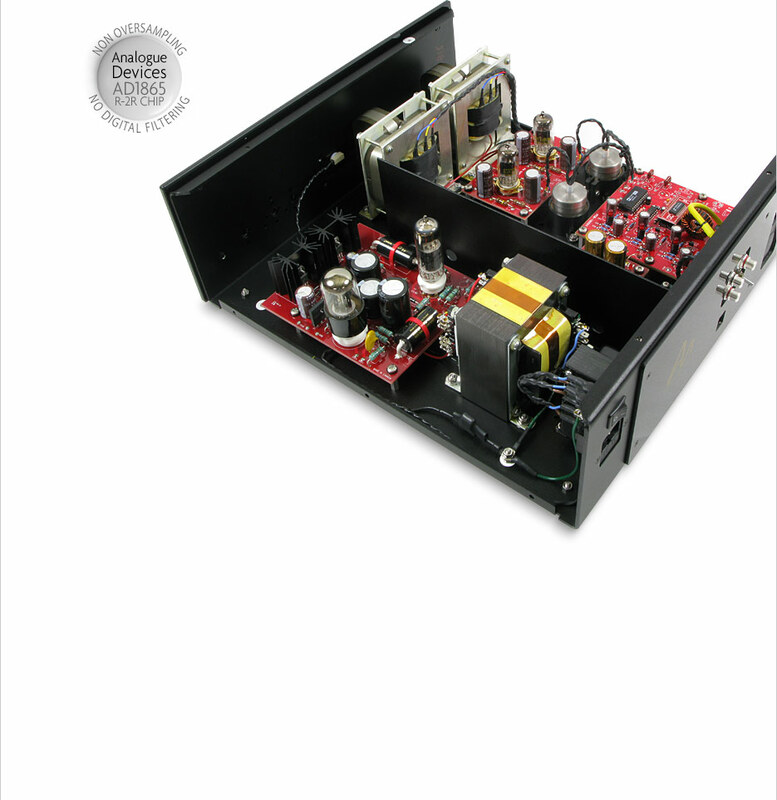 Matched with the Triple C-Core output transformers this DAC provides an audiophile experience reserved for but a few. 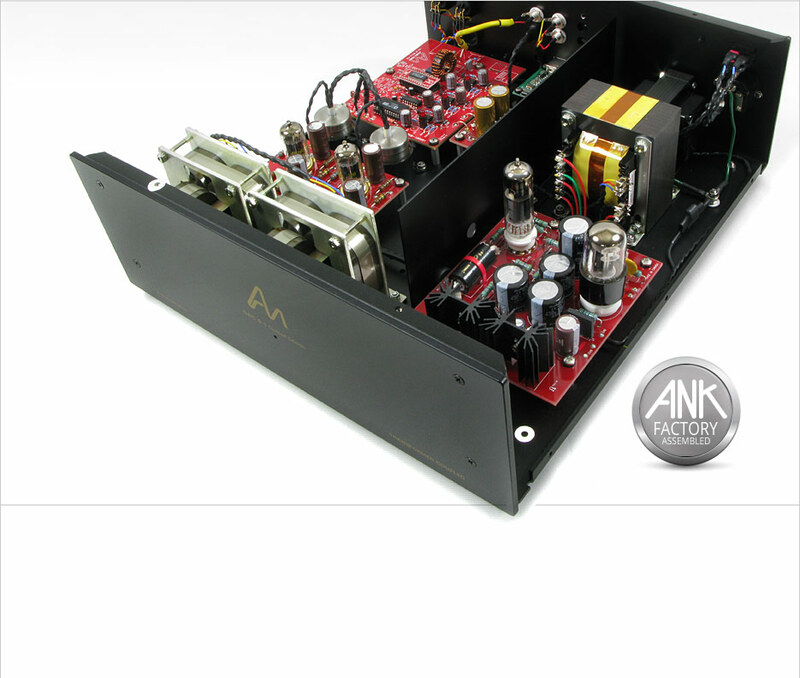 Our I/V transformers were specially designed by Audio Note Engineering to provide an affordable yet highly effective transformer for the DAC 4.1. I/V Transformers are used to maximize the energy transfer during the Current-to-Voltage phase of the conversion resulting in increased dynamics. For the full Andy Grove article, follow this link. Our venerable 5687 output board packed with Audio Note Tantalum 1 watt resistors and Mundorf Silver Gold Oil Film Capacitors - simple, clean and with a remarkable sonic purity. There are many 5687 tubes available from re-manufactured to classic 50’s NOS. Our signature board extracts every last bit of detail from your digital source material! In fact you will be amazed it is digital - it sounds that natural and organic. The M2 power supply in the DAC 4.1 is an enhanced PCB version of the original M2 power supply taken from Audio Note UK’s finished products line. It uses a mains transformer and choke combination with a 6X5 for tube rectification and an ECL82 for regulation. This latest version uses vertical heatsinks, Mundorf supreme film capacitors, Rubycon electrolytics and TAKMAN 1W resistors. We have found this combination has superb performance and reliability. In addition there we have a dedicated digital power supply PCB to ensure the sensitive digital circuits are fed with a smooth and quiet power supply. You can order the DAC 4.1 as part of our FACTORY ASSEMBLED division for an extra 15% of the purchase price. Simply select the ‘FINISHED PRODUCT’ option in the shop section of the website. In order to do really good digital you need to do really good analog! I don't care how many bits are used or samples per second - most manufacturers are obsessed with digital specs and don't put much effort into all the analog circuitry that is involved in a top level DAC. Then again it’s the analog that our ears are listening to – everything in the digital domain must be converted to analog for our ears and brains to understand and this is a BIG part of the DAC. In order to enjoy digital music on a single ended 300B system for example, their are a number of factors in the architecture that we consider of utmost importance. Let's look at our own Dac 4.1 to start. First, in our opinion, this needs to be Non Oversampling Resistor Ladder Architecture (R-2R) in order to be true to the digital information residing on your disc. Second the digital to analog conversion section needs a superb power supply to provide exact DC voltages. 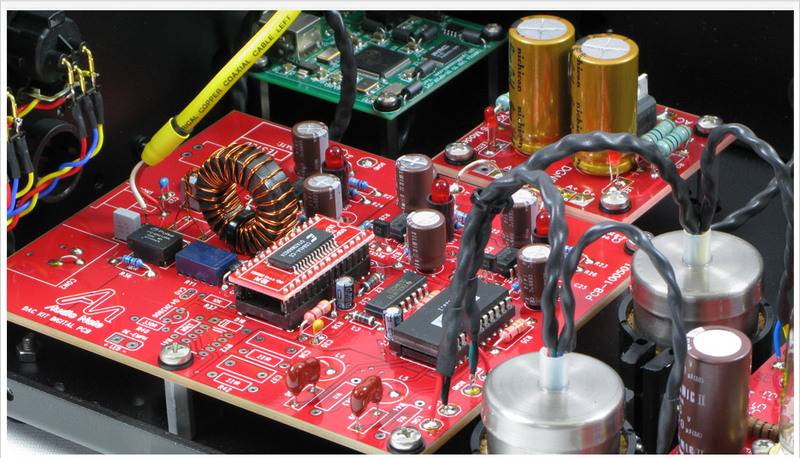 We do this with our on-board DAC power supply and regulation board. The small analog signal that is created on our DAC board uses a current output from the DAC chip along with a high quality Audio Note tantalum resistor to create the output voltage. This signal is then fed into a nickel core 1:1 transformer ( I/V transformer) that allows this signal to be replicated on the analog line board. The analogue board is a tube line stage with a transformer coupling associated with it. Our M2 power supply (which is both tube rectified and tube regulated) provides the HT voltage for this board. The design of the output transformers using C-Cores is also critical to replicate all the frequencies required in the analog signal and be able to drive this signal to the next device in the chain – either an integrated amplifier or a pre-amplifier. This overall Audio Note design philosophy has made our DAC’s very popular amongst demanding audiophiles who want to hear ultimate in digital reproduction with no fatigue! Check out the DAC 4.1 and be prepared to enjoy your CD’s & digital music in an entirely new way. Note: our new DAC 4.1x with an extreme upgrade set of AN components.  Just a note to let you know the DAC arrived about an hour ago. I just wanted to let you know the workmanship looks stunning. The layout is absolutely neat and everything looks polished. It is obvious you take great pride in your work. Out of the box on first listen I could tell this is a special piece of audio gear. It has detail and dynamics in spades. After a number of hours of playing time the warmth and presence became more apparent. It has that one character that I love and call "concert hall" sound, the acoustic space of the musical performance." I finally finished the DAC 4.1 LE and installed it Friday evening. After the initial test CD check all looked OK so I connected the balanced outputs to my preamp. All Right! Music is coming out of my speakers on the first try. Then I struggled to come up with words to describe the quality of that music. I have been at this "hobby" for about 30 years and can honestly say I have never experienced an improvement this profound. I simply didn't know that digital playback could sound like this. I've been chasing the elusive perfect sound and found vinyl playback to offer the most engaging balance of qualities... until now. Don't get me wrong. I won't be selling my turntable any time soon, but Redbook CD has no business sounding this good. If this DAC actually gets better as it burns in I can't imagine being any happier with the sound. It is so close to perfect now; sweet and musical, but not soft or euphonic. I'm literally hearing lots of detail that was absent before. It truly is like hearing the music for the first time. It's that different. Another reviewer mentioned that you should not listen to an Audio Note DAC if you can't afford to own one. I couldn't agree more. Llevo 40 horas de escucha con el dac 4.1, y estoy fascinado con esta maquina ¡!! Me gusta mucho como suena en todos los sentidos. Tiene un sonido abierto y produce una escena grande. En cambio la musica no suena debil y volatil…. Sino rapida y con firmeza. Las voces son claras , limpias y las reproduce con fuerza. Los agudos parece que no estan…. Pero cuando hay instrumentos de metal, aire , ,cuerda (octava superior) aparecen milagrosamente, con todo el esplendor… (simplemente es que no son persistentes). El grave y subgrave son lo mejor que he escuchado en mi vida en un cd-dac…. Rapido, apretado, y bien articulado…. Apreciando las diferentes notas de grave a subgrave muy bien definidas y no produce ese tipo de grave grande , y difuso. Lo que hecho en falta es mas resolucion (transparencia) y microdetalle….. Entonces he comprado nuevas valvulas “nos” a un famoso importador en “usa”. 2- raytheon (1950-1960) 2- tung-sol (1950-1960) 2- philips (1970) cryo…. En todas , la transparencia a ganado mucho….. Con estas valvulas las cualidades del 4.1 se han acrecentado hasta un nivel hi-end. No es una broma ¡!!! Hay que tener el resto de componentes del equipo a un nivel de calidad muy alto, para poder reconocer todo lo que puede hacer este 4.1. Esta vez…. La transparencia es tanta como lo que esta gravado dentro del cd.….. Y el equilibrio tonal es casi perfecto ¡!!!!! Mi satisfaccion es maxima…… no puedo continuar evaluando el 4.1 sin compararlo con productos de marcas del mundo high-end referencias. En mi equipo he tenido: naim, jadis , mark levinson, proceed, chord, karan, audiomeca, ….. He escuchado en tiendas especializadas: dcs, krell, vitus, copland, cary audio..etc……. Cableados, amplis, cd , dac, altavoces…….. Estoy familiarizado con productos de alto nivel, y os puedo “confirmar” que este dac 4.1 pertenece a ese grupo selecto. “por supuesto es mi opinion”…. Pero yo, ya tengo uno en mi casa, para mucho tiempo. Gracias sr. Brian…. Por conseguir una maquina de 3100$ (kit) con un nivel de referencia absoluta……. I have finish the assembling of my DAC4.1 kit and I'm very satisfied of it. All what I anticipate from this kit meet all my expectations. The timbres, the soundstage, the drive, the bass have reach level I have never met with any others dacs I've listen to in the past. I'm really happy of it! The audionote Kits are awesome! It is definitely the best quality kit I have built! The DAC4.1 after another approx. 50 hours (summing approx. 100 hours), the sound has begun to be really superior of the one delivered by Sugden. It is a sound with very well defined soundstage, but also very aired, a sound with a very rich musical timbre, full of harmonics. Full of delicacy and refinement, but without losing its firmness and authority, when necessary. It's my turn to congratulate you !! There is something musically magical about this DAC4.1, as I listen through my music collection I'm amazed of some nuances or subtle passages which were never revealed before now convincingly present. Never heard so many variations of cymbals or timbre as I do now. The DAC really rewards musicians/album producers/sound engineers who put a lot of effort in the recorded material. On the flip side, a poor recording can drag your HiFi system to a mediocre stereo system. With a little over 100 hours burn-in the DAC is still showing indications that it's still musically improving and based on the quality of the components I suspect this will be on-going till about 500-800 burn-in hours. I praise the Audionote Team for engineering this world class product and I'm proud to say I own one !!! The acoustics of the venue are so apparent - singers or instruments away from microphones sound real as the subtle details are provided with clarity,not lost in the louder sounds. Yes, the sound staging is superb plus all the other virtues that professional reviewers describe paragraph after paragraph. The DAC 4.1LE is very quiet and when my home is also quiet, I love to seize the opportunity to play music with broad dynamic range, so I don't have to strain to hear micro details when listening at reasonable levels of volume. First impression: very detailed sound, very “musical” natural tones, nice sound stage and imaging.